TradersDNA would like to present summary of the best trading blogs based on the suggestions from such industry professionals as Mike Shedlock and Justin Kuepper. Justin Kuepper is an experienced financial writer and active trader specializing in global macro situations. Traders need to be very knowledgeable about not just finance but also about what is going on in the business world. This is essential information to be able to make good trades. Knowing where to get this type of information from can be difficult. Mike Shedlock also produced a helpful list of business and finance blogs that can be helpful for traders, as well as his own website, Global Economic Trend Analysis, which has a lot of helpful information. One such website is Dealbreaker. 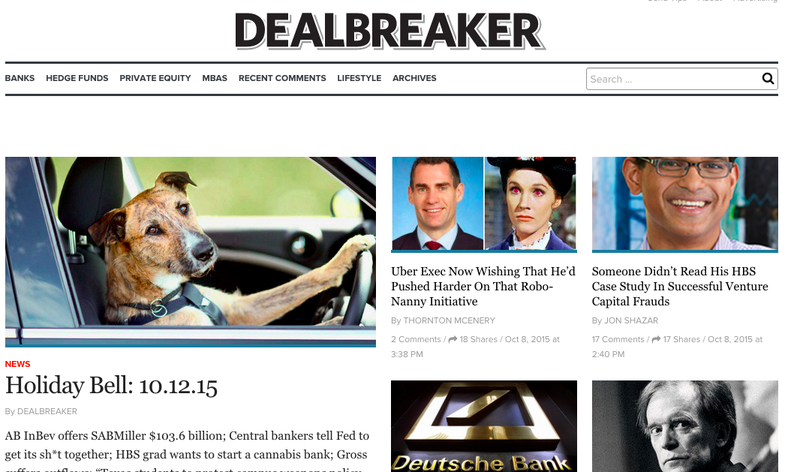 Dealbreaker is helpful because it reports on news that impacts on trades and on the financial community in general. The news is helpfully sorted into information pertinent to banks, hedge funds and private equity. The site also keeps its finger on the pulse of what is going on in the world of MBAs. The site represents a wealth of information that can be used to help make good trades. It is possible to access content from the archives back to 2006, and the archived content is also helpfully organised by subject so this site is an excellent research tool. 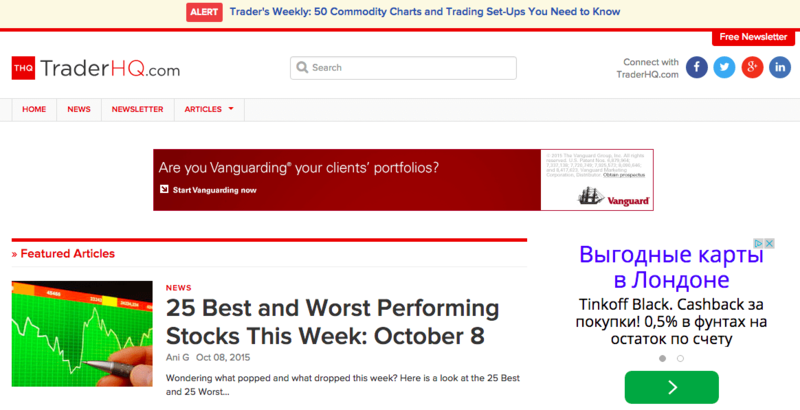 Business Insider is another site that is recommended as being good for traders. Similarly to Dealbreaker it includes all of the latest news with a slant towards business news. While it is not designed for use by traders per se, it is nonetheless a good resource. 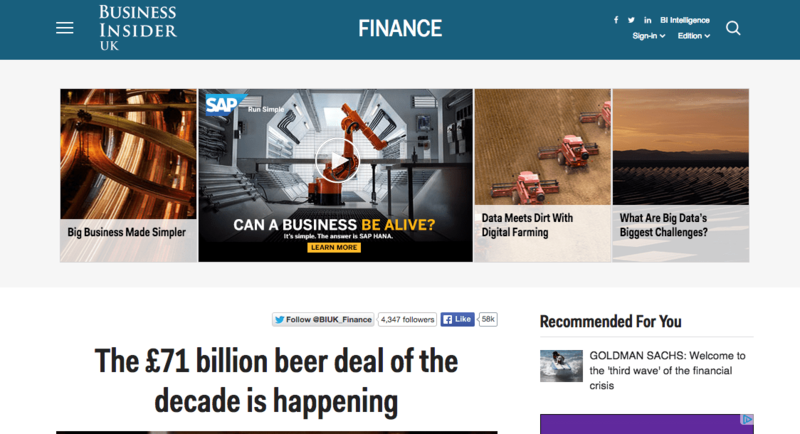 Content is organised by trending, tech, finance, politics and strategy. There is a lot of good information on the site, though it is perhaps a little less easy to find the information than on Dealbreaker. 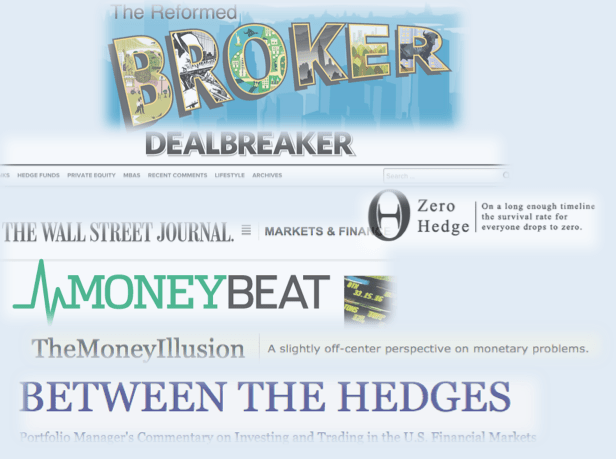 As reflected in one of the recent posts in HedgeThink, Zero Hedge is is considered by many to be a financial blog that has been disruptive in the trading sector. 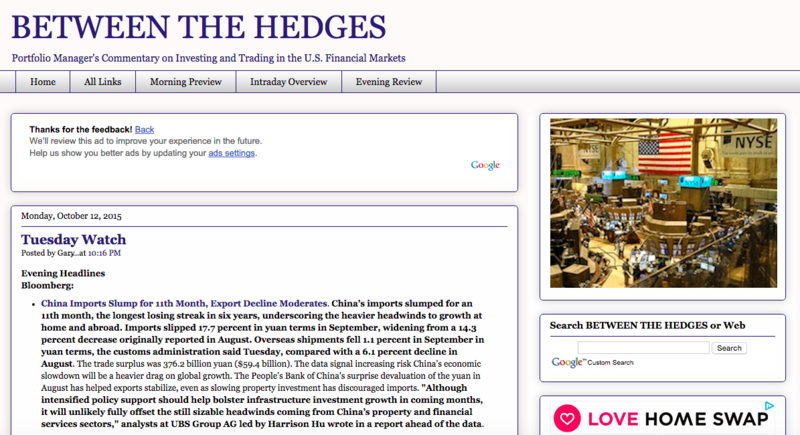 Zero Hedge began attracting attention in 2009, and the website has a mission to “widen the scope of financial, economic and political information available to the professional investing public”. It aims to provide a higher standard of financial journalism and free up knowledge for all. Additionally it claims to offer analysis that is not held back by political constraint, to provide greater value in financial journalism. The blog pulls together news and provides editorial opinions that are both original and home grown but also that come from external places. 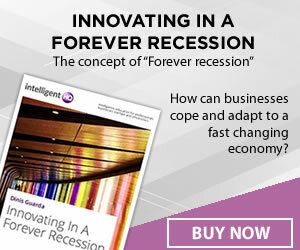 It reports on a wide range of different topics, most notably economics, Wall Street and the financial sector. One of the disruptive innovations that it has brought has been the highlighting of the practice of flash trading, bringing this into the public eye. 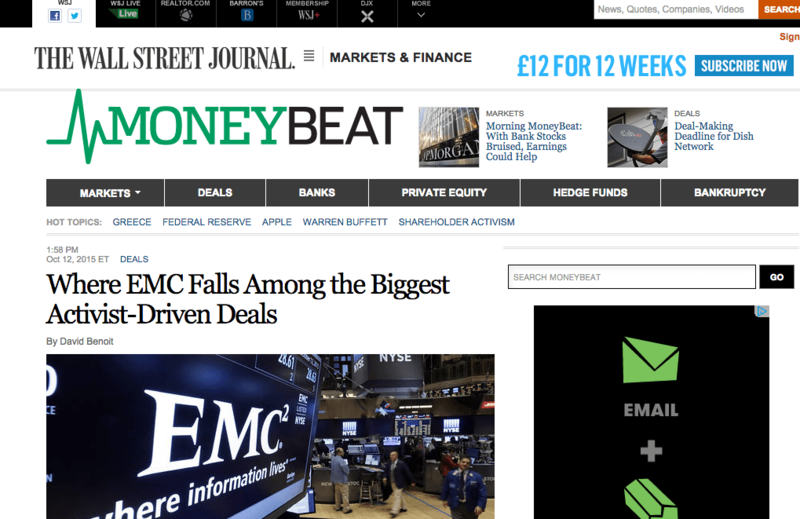 MoneyBeat is focusing on bankruptsy transactions, hedge funds, M&As, banking news, private equity deals as well as breaking news. 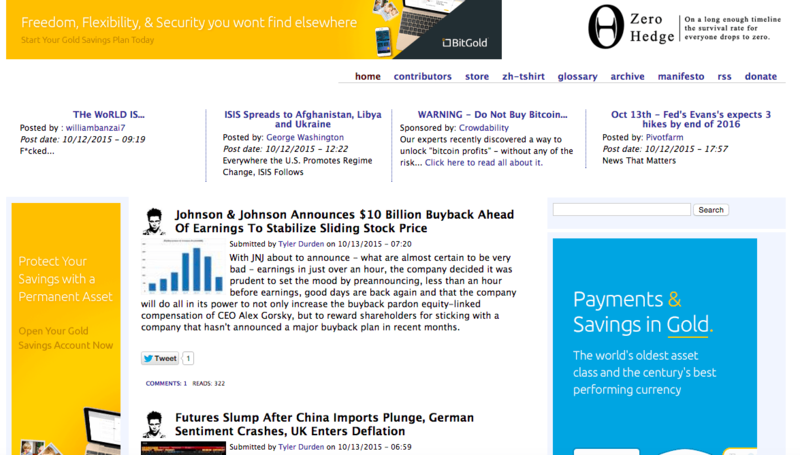 It is maintained by the Wall Street Journal and traders can use this blog as a source for opinions on big name stocks. 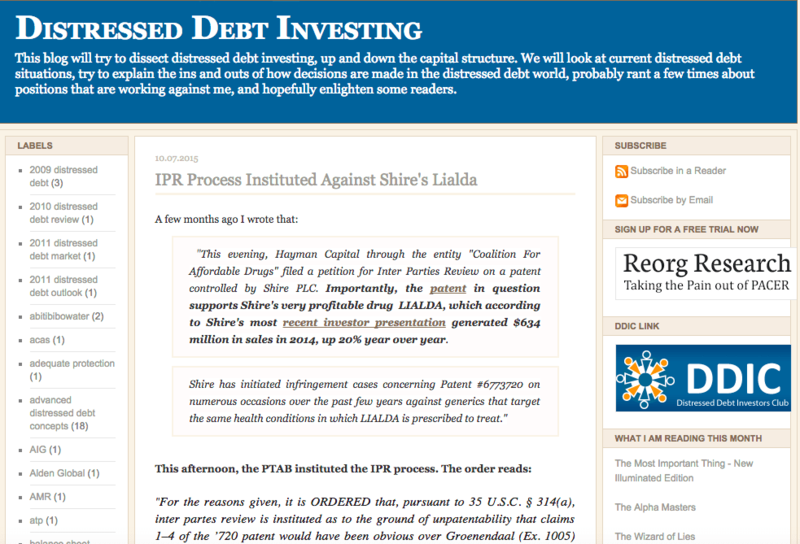 This web-site was created by hedge fund manager. The blog provides Bear Radar and Bull Radar posts that reflect stocks with usual call/put option activity as well as news. It is a popular financial blog with extensive market commentary. The MoneyIllusion is another blog that appears on the list. It describes itself as being “a slightly off-centre perspective on monetary problems”. The site is not particularly pretty to look at, but does offer a range of different articles that are of interest, dating back to early 2009. It is written by Scott Summer, a professor of economics at Bentley University who researches monetary economics. Recent posts have been made on topics as varied as Chinese house prices and efficient markets, so there is a good deal of variety. Like Dealbreaker it is easy to find good information as posts are sorted into helpful categories, enabling easier research. 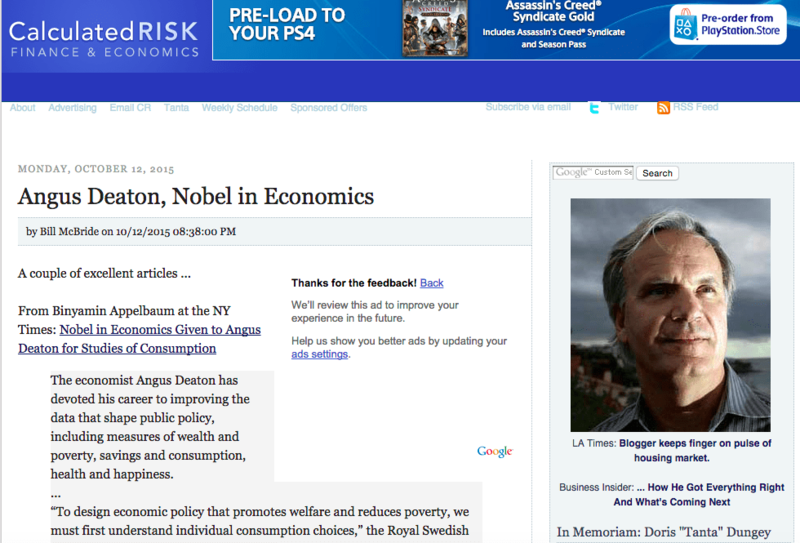 Another helpful blog is the Calculated Risk blog which focuses on finance and economics topics, and which benefits from regular posts. Recent topics have varied between an unofficial problem bank list and the implications of this, through to the declining of the mortgage serious delinquency rate. While there is a lot of good data and analysis on the site, accessing it is somewhat challenging as one simply has to scroll through the list of posts that are listed in date order. Given that the information is very topical however, that is not necessarily a big problem. 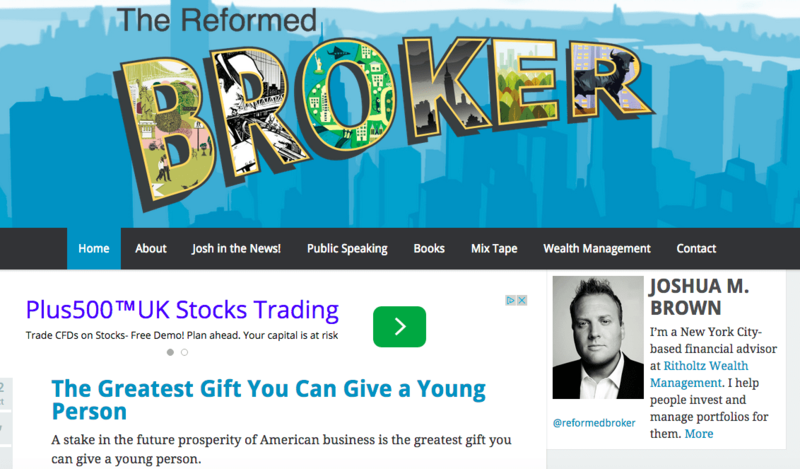 The Reformed Broker is a site created by Joshua M Brown who is a New York Based financial advisor working at Ritholtz Wealth Management. The blog offers interesting and informative posts that could prove helpful in making trading decisions. The blog focuses on a range of areas such as markets, politics, economics, media, culture and finance. It has been up and running since late 2008, and is very well read by many. Brown provides his own ideas and insights related to current events and happenings. Also from the Ritholtz camp, Barry Ritholtz has an information packed blog (Ritholtz.com) written by a man who has been working in the field of capital markets for 20 years. The blog is called The Big Picture and it has a detailed section on wealth management. The goal of Ritholtz Wealth Management turns the approach around and instead of focusing on beating the market, the organisation looks to not let the market beat it. TraderHQ positioned itself as the World No. 1 source for everything traders need to know to make more money. They provide knowledge on trading strategies, trading platforms and trading university. They also reflect the latest trends in trading industry, reflecting stocks fluctuations. TraderHQ provides free newsletter which is very helpful if you are particularly interested in stock performance on a daily/weekly basis. Distressed Debt Investing may suit those that have a particular interest in distressed debt investing at all levels of a capital structure, as that is what this blog focuses on. The blog assesses distressed debt situations that are happening at the current time and looks at how decisions are made based on this. This may be w for some people that are interested in this field. The posts are well organised with good labels, making research into older topics easier to identify. i think traderHQ.com is best one. Who Can Apply for Online Personal Loans?